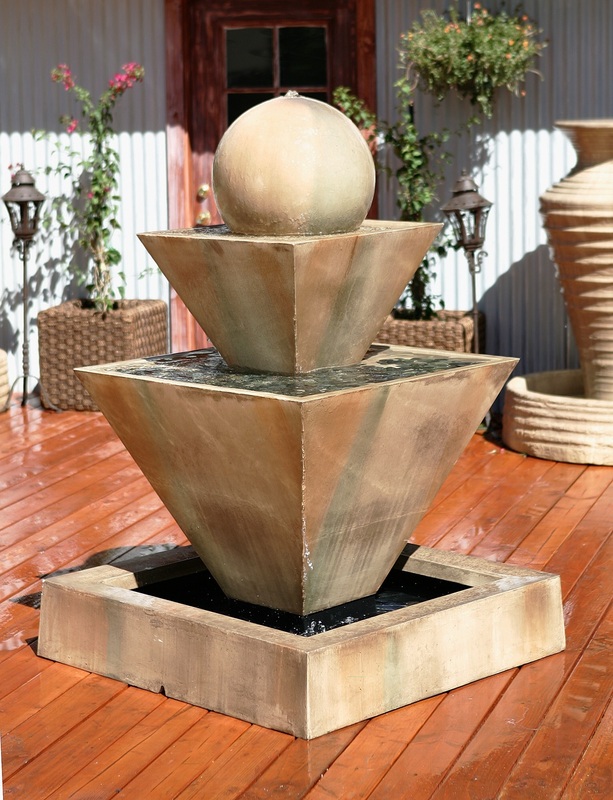 Our Double Oblique Fountain with Ball has a simple sleek design making it an easy compliment to any style of living space. 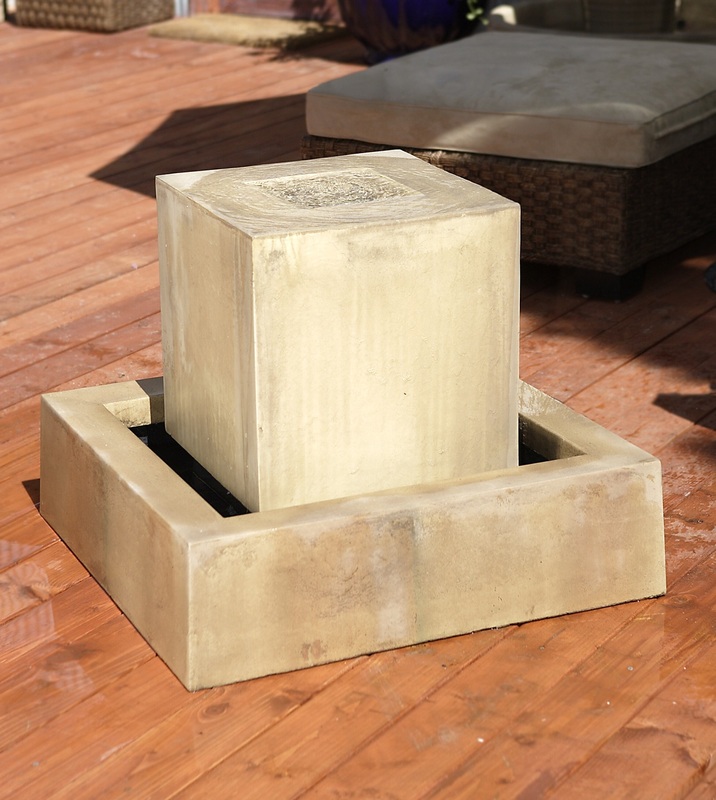 Add an arbor or column of foliage behind it to act as frame for this art piece. Water overflows the ball on the top layer, spills into the layer below, and continues to spill into the pool at the base of the fountain. L 43" W 43" H 64" | 576 lbs.